Injuries on a subway platform, stairs, bus, or El can be serious. Both the Chicago Transportation Authority (CTA) and the Metra have investigative units responsible for investigating accidents that occur on trains and buses. As a result, accident victims are at a disadvantage unless they retain legal representation to subpoena documents, interview eyewitnesses, and conduct investigations of their own. The Orzoff Law Offices consults safety experts, investigators, and medical professionals when assembling evidence and information in public transportation accident cases. We review video footage, locate and interview witnesses, and look at the actions of CTA and Metra employees both before and after an accident. Since there is a 6 month window during which a lawsuit can be brought against the CTA or Metra, it’s important that injury victims retain legal counsel as soon as possible. If you’ve been injured on public transportation, contact personal injury attorneys at the Orzoff Law Offices today. Public transportation entities have a number of safety regulations and procedures they are expected to follow. When accidents happen, investigators are more likely to underscore the things a CTA or Metra employee did that were right as opposed to mistakes or failures on their part. Additionally, investigations are conducted by the CTA and Metra themselves. Consequently, it stands to reason they are more likely to identify evidence that absolves them of any responsibility instead of highlighting negligence and errors they could be held liable for. Hiring an attorney who can meticulously review the final report of an investigation into an accident, identify conflicting information, and locate eyewitnesses who do not corroborate the “official” story, is important in building your case. 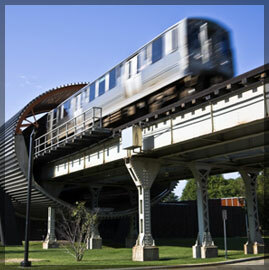 Our attorneys understand how to investigate CTA and Metra accidents, what experts to hire, and how to present key information before a jury. If you’ve been injured on the subway, El, bus, or train, contact personal injury lawyers at the Orzoff Law Offices and schedule a free consultation to learn how we can help you.